I’m taking a rare opportunity to post an almost real-time update to PlanetTabor. There is a backlog of a couple thousand photos from May through early August that I need to go distill down to a few small posts, but that will have to wait until another day. Today’s photo comes from the U-505 exhibit at the Museum of Science and Industry in Chicago. This was my favorite museum as a child, so it was a treat to take our kids to see it. Hannah and Noah seem just as awestruck and excited by the museum as I was some 30-odd years ago. It is amazing how much it has changed since I was last at the MSI. From the new underground parking and the massive U-505 permanent display to the Idea Factory and NetWorld exhibit on the Internet, the museum has re-invented itself in many ways. 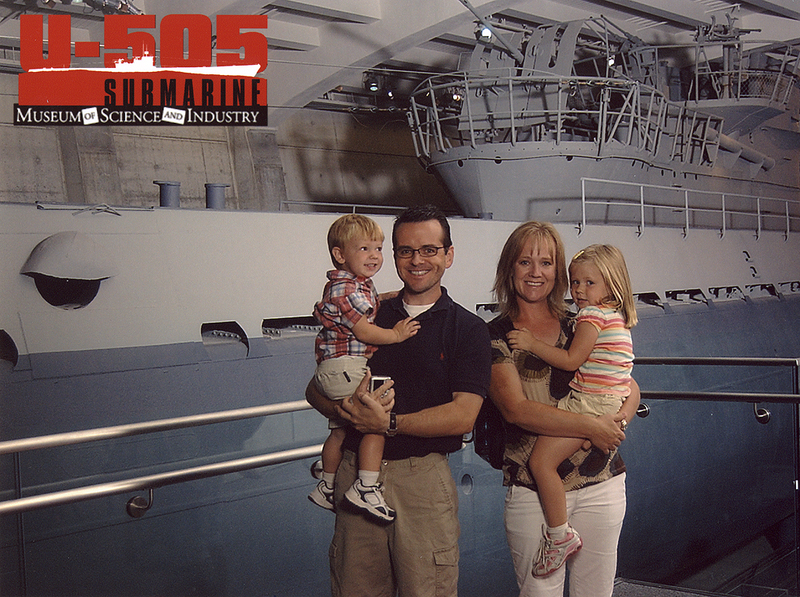 The photo included in this post comes from in front of the U-505 exhibit. The exhibit is amazing and I loved the photo op…but it doesn’t it seem a little odd to have a picture of your family smiling in front of a WWII-era German Submarine?